Hi I’m Emily, owner of Blossom Wedding Flowers. My floristry journey began when I left high school early, bored with the lack of creative outlet and landed myself an oh-so glamorous job, washing buckets in a local florist. It was a natural progression from there to begin to explore floristry in all its forms, from the standard shop trade, to the more artistic aspects of the work. I have always been drawn to the tangible beauty of flowers, the myriad textures, colours, and scents that arrive in bundles to my studio work table, ready for arranging. Little did I expect floristry to be a part of my life for the next 20 years! The shift from florist shop to wedding flower studio was also a natural step, as having a personal relationship with each client and enjoying the satisfaction of creating something stunning and unique, has made the work that much more special. To share the excitement, hopes and vision for their big day with each couple is such a treat. And to be able to present them with flowers on their day created with passion, and desire to beautify what will be one of the most important days in their lives is an honor. 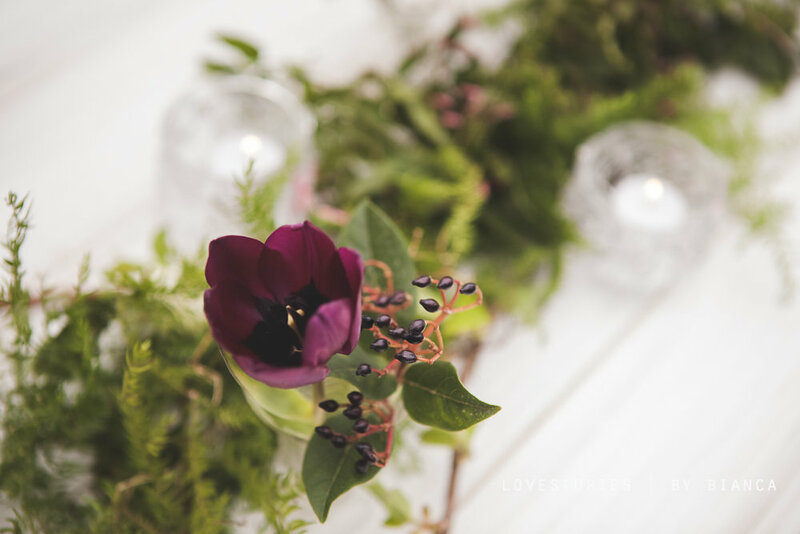 I would love to bring that something special to your day and I hope to hear from you to begin discussing how we can create stunning florals just for you!